Location: Spinal column, in the region of the coccygeal plexus. Vibrations:Mooladhara vibrations are felt on the back or base of the wrist. Associated Element: Mooladhara is aligned with the earth element. Associated Color: Coral red. May represent the core of the planet, which is believed to be molten lava and/or volcanic soil which forged the surface of the planet Earth. The Mooladhara is the root chakra, the foundation of the entire subtle energy system. It represents the earth element, or the most basic state of existence. Mooladahara, in other words, helps keep us “grounded.” In fact, is from Mooladhara that we receive the ability and authority to raise our own subtle energy and help others raise theirs. Balancing Mooladhara restores the innocence and sheer joy of childhood. Mooladahara plays a role in helping us maintain harmony with nature and avoid poor lifestyle choices that are unhealthy, perverse or “against nature.” It helps guard against sexual perversions or misuse of sexuality. We learn to respect the quality of chastity. We are less vulnerable to temptations. 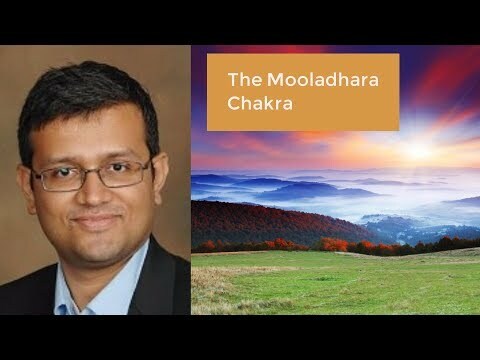 Since Mooladhara provides the most fundamental level of support to our existence, if you experience problems with the Mooladhara chakra, it’s possible for your entire life to veer off onto the wrong path; for example, you may begin to organize your life around self-damaging or immoral pursuits and before you know it, they’ve become your “way of life.” You may even feel rudderless and lost, with no sense of direction or purpose. Your life choices lack wisdom. But once this chakra is strengthened and nourished, your innate wisdom is restored and you’re guided toward the right path. When we make wise choices, our self-respect improves, which ultimately improves self-esteem. We no longer abuse or condemn ourselves, which increases our sense of dignity.